Trainer and instructor wanted to work out of our barn. Must have clientele. 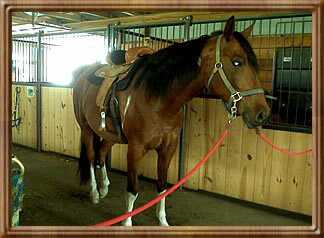 Bring horses in for training or boarders who want lessons and training. We get the boarding fee, you keep your training and lesson fee. Would like a self starter who is willing to promote themselves. We provide a clean, safe, healthy environment for your clients horses to live. Round pen, indoor arena, outdoor arena, warm water wash stall, trails on property. Trailer parking at no charge. Self care stalls now available. Call or email for information. We have work for boarders that want to pay off some or all of their board.